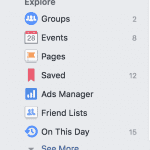 Every time I log into my Facebook page or profile I always find a new feature that pops up or one that I have become familiar with disappear. It can be overwhelming for the business owner to keep up to date with the constant changes with this amazing social media platform. To remove some of that stress I have outlined a few of the new features that Facebook is now offering, you may be aware of them or you may not. The first of many features is the ability to organise our newsfeed and contacts. If you use your personal profile as a marketing tool (accept all friend requests) you may wish to sort out the friends, family members, colleagues and networking connections, even those people that you haven’t met as yet. Open up your home news feed and under the explore tab on the left-hand side you will see friends list. Select friends list and then add the friends into the organise categories. The benefit is you can now see posts from those categories and you can post to the selected groups also. Giving you content that is specific to those categories. 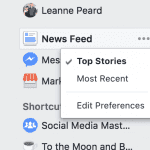 To organise your news feed, select newsfeed preference and you can choose who and what content you want to see, or remove. The ability to have a group of streaming videos for your members to view and comment on. You can share videos that are on Facebook from different pages. You will know whether you have this function when you go to post, underneath the description box you will see ‘watch party’. When creating a watch party, make sure that you have the details clear so the user doesn’t get confused. Once you have set your videos to be played, you can then invite group members to watch the party with you, comment in real time and engage with the members. 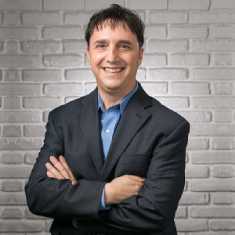 I see the watch party as another opportunity to connect with your community and give massive value. The elearning space is to be worth USD240 billion dollars by 2023, maybe Facebook is foreseeing the use of groups as elearning platforms. Inside the groups, we now have the feature to organise our posts, rather than have a continuous feed that can be messy. I also see this feature as a great tool for those that are creating mini-courses online, we can use the units to organise our training and learning content. We now as admins of our groups have the tool to access support to Facebook by asking a question directly. If members have broken our group rules, we can notify members which rules they have broken, add notes to the removed post. Time-saving we can now post pre-approved posts into the group from trusted members. You will be able to access these tools by tapping on the admin tools below your cover image. As a member of a group, we can now filter the content we want to see, we can choose from being notified about all posts, posts from your friends or just the highlights. However, as an admin of your group, you would encourage your members to select all notifications. As you can see from these features, groups are becoming a great place to organise your content, notify your members and get real-time value and content that will create engagement. We can now schedule our content to be posted when we choose inside our Facebook Groups, exactly like our Facebook Page options! Access the group insights feature from the left hand side of the group navigation bar. The insights are going to give admins only at this stage, information about the growth of the group, engagement and membership details. Bots are back – Facebook has now lifted the ban on bots, in particular, the third party application called Many Chat. With this ban lifted, we are now able to again build our list and talk to our subscribers in real time straight to their mobile devices. Messenger and Bots have an open rate of 99.9%, compared to email marketing this is a great tool to use for your business. If you don’t have a bot or are not keen on the thought of automated messages, then think about how you can encourage your fans to chat with you on messenger. Facebook now encourages us to add the messenger button to our posts, think about what you are posting on Facebook and add a call to action to get them to messenger you. This allows you to converse and engage in real time with your fans. This is a great feature that has been added, we no longer must worry about the posts or videos that are uploaded to be banned from Facebook due to copyright infringement. Under your publishing tools, you will now find the sound collection. 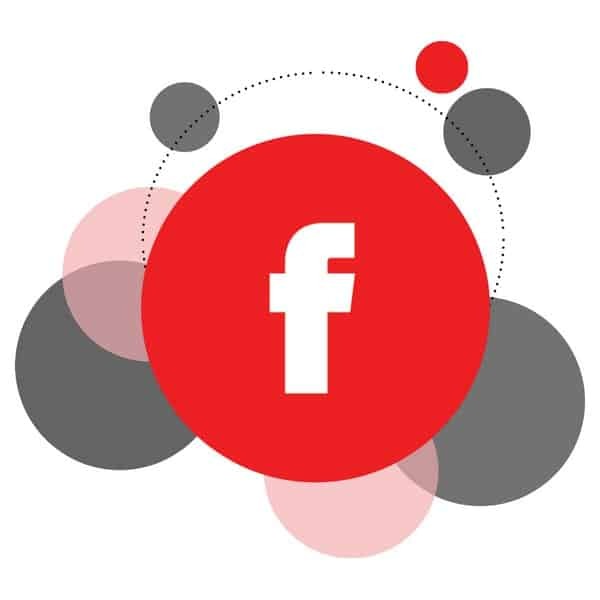 Facebook has thousands of tunes available for us to download, add to our videos and all royalty-free. Thanks, Facebook! Live streaming is the number one strategy that you should be using to connect with your fans on Facebook. I would even encourage you to have structure around your live streaming and create your own show. Broadcasting content to your audience will increase your expertise and promote engagement, not to mention that your videos are going to gain 6 times more views when you are live. A cool feature that has been added is the ability to live stream to multiple pages, called cross-promoting. In order to access this feature, you need to first go to settings, cross-posting and then select a page to promote. The benefit is that you will no longer need to share the original live post, the views will be calculated across all shared postings and you will have greater insights on the video. The cons are, the original video will not be shown on the cross-promoting page, the comments on the pages that you share will also not be visible on the original post. I think this is a great feature, that will allow collaboration with other pages and boost your own branding. What happens to our Facebook account when we die? Well now Facebook has introduced the Legacy contact tab, similar to a will, we can give one of our Facebook friends permission to access our account once we have passed on. To give access to your Legacy contact, go to your settings on your personal profile and scroll down. Death is something that none of us wants to think about, however, it would be nice for our legacy to live on and for others to see our posts, thoughts, and photos. This has to be a favourite one for me, the scrapbooking feature always parents to create a scrapbook album for their children’s photos. The parents are the only ones who can tag their children and share the images in their scrapbook, the parents can customise the privacy settings on the photo and will be notified if a particular photo is public. These are only a few of the features that Facebook continues to introduce to the social media platform. Whether you like them or not, it is great to see Facebook continuously improving the functionality and service it offers to us. We are very fortunate to have this networking site to promote our businesses, and yes it is still a free service that we can organically reach our potential clients with word of mouth marketing.